Your Denver Mechanic: Are Your Tires Bad? There’s little scarier than having a tire burst while you’re cruising the highway—and it can cause a real adrenaline spike. First, there’s the sound, a loud “POP, whssssssh!” Then, you’re startled by the fact that your car is hard to control (if not completely out of control). You grab the wheel with white knuckles and guide your car (which is now behaving like a barge in the middle of a hurricane) towards the side of the road. You breathe a sigh of relief, having saved all of the passengers and property in your vehicle (you were towing your best friend Nugget to the veterinarian for a shot, and then you were headed to Goodwill to drop off a few dozen pounds of outdated clothes). Finally, however, you realize that you now have to replace your tire with a donut. No worries, you’ve done this before. You pop the hatch to your trunk, remove the jack, begin popping off bolt after bolt on your wheel. You pull off the shredded tire, and return to the trunk to remove the spare. Unfortunately, the spare has a slow leak, and it turns out that you can’t even bounce the useless thing off the tarmac, let alone use it to carry your old clothes, dog, and two-ton vehicle to their destinations. Why didn’t you check your tires? First of all, and our most obvious thing to check, you should take a keen look at the tread on your tires. Your tires should have plenty of texture and depth remaining in their tread. Worn, barren tires are likely to pop at any second. Make sure that you have at least 1/16 inch of tread on each of your tires. Any less, and you’re asking for a blow-out. And tread doesn’t just show you how well your tires are performing, your tire treads provide traction, even in poor road conditions. That means it’s doubly unsafe to drive on bald tires. Now, most modern tires have a cool feature that helps drivers to determine when their tires are on their last leg. 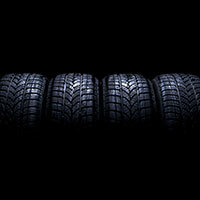 Take a look at your tire to see if there are any tread wear indicators throughout the tire. Tread wear indicators are usually bars that cross between the gaps in your tread, and they’re there so that when your tire has lost enough tread to be flush with the indicator bar, you know that it’s time to replace your tires. Next up, take a look for cracks anywhere on your tire, especially the sidewall of the tire. Your tire sidewalls can get worn, and if the rubber is weak, it can crack and cause a flat. Also, take note that the sidewall is very easy to damage. If you accidentally roll over a curb and graze the sidewall, for instance, you could cause a blowout, cause a leak, or you may weaken the tire so that it could blowout at any second. 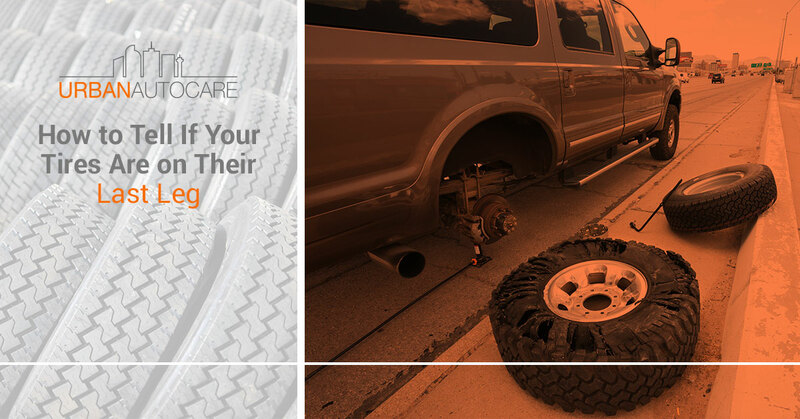 So inspect the sidewalls of your tires, as well as their tread. If you see bubbles or bumps on the surface of your tire, then you’re looking at pressure trying to escape, and you’re looking at a tire wall that is very near bursting. Weakened tire walls can show bubbles or bumps if the pressure within the tire is causing a malformation. 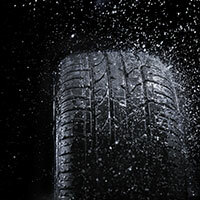 Bubbles and bumps can also occur if the tire was poorly manufactured. While vibration isn’t usually directly related to bad tires (it’s usually a sign that your struts or shocks are failing), tire vibration can wear your tires out faster. If you notice any vibration, bring your car into a shop to have your mechanic take a look. You may have to have your car aligned, or you may need to replace your struts or shocks. If it’s time for new tires, bring your auto into the shop here in Uptown Denver. We’ll swap out your tires with a new set so that you can stay safe and get back on the road. Schedule your tire service today!